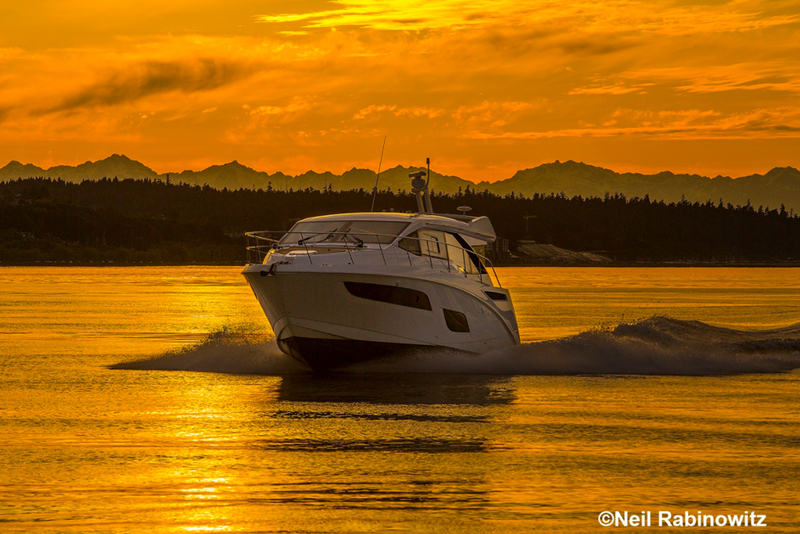 Sea Ray's methodical pursuit of noise-reducing features and building methods is leading to lower decibel levels and higher comfort. 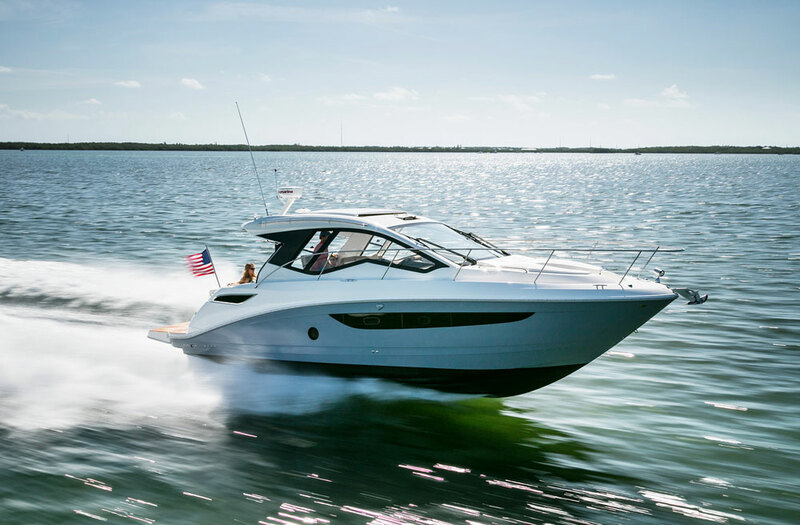 Most boats are comfortable at the dock, but that comfort level plunges as soon as you fire up the engine and pull off the dock—at least it did until Sea Ray came up with Quiet Ride, now in its yachts as large as the L650 and its runabouts as small as the 250 SLX. There’s no doubt that your comfort deteriorates as a rumbling powerplant, vibrating fittings, and water noise push sound levels through the roof. Remember what it was like to go down the highway at 65 mph in a '70s vintage car? Those shakes and rattles have been eliminated in most modern automobiles, and we’ve come to expect a smooth, quiet, more comfortable ride on land. 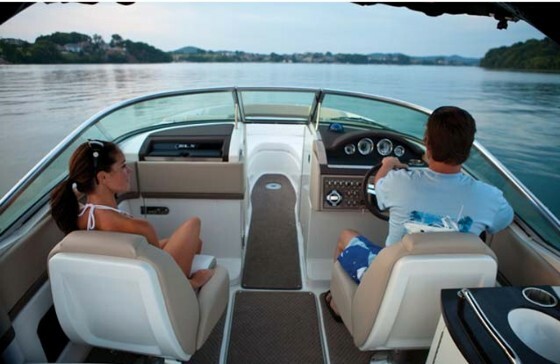 So, why not experience the same thing, in our boats? 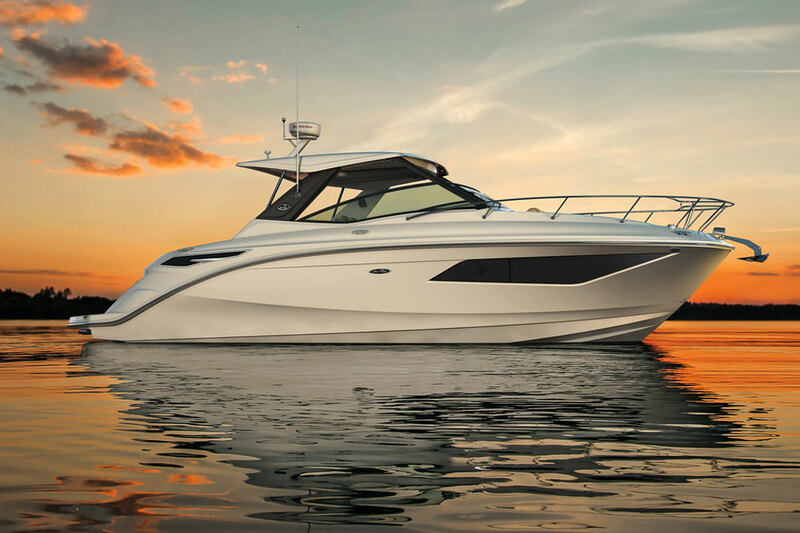 The first model to carry a full complement of Quiet Ride enhancements was Sea Ray’s 250 SLX – which won an NMMA Innovation Award for the new feature. 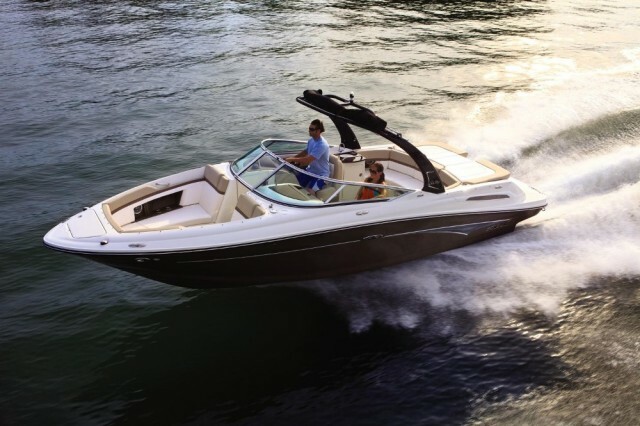 Quiet Ride incorporates a number of measures to reduce or eliminate as much noise and vibration as possible, and it indicates just how much importance Sea Ray has decided to place on your personal comfort. So, how did they get the sound to go down? 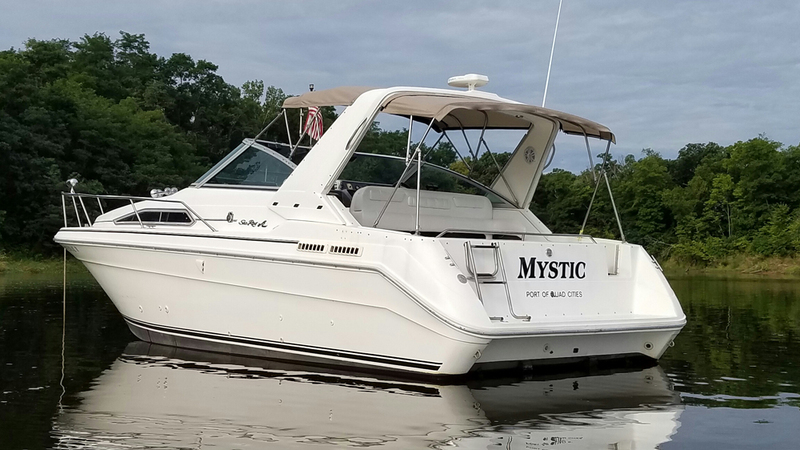 For starters, all of the doors and hatches on a Quiet Ride boat have positive-locking latches and routered-in gaskets, which are compressed when the door or hatch is closed. That prevents them from rattling or vibrating. 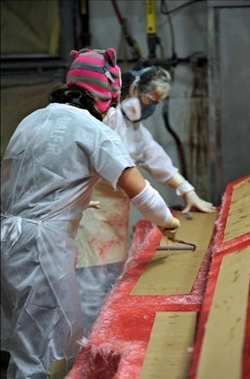 The copious use of acoustic insulation in strategic areas is another straightforward technique for reducing sound and vibration, as is spraying foam into voids and placing rubber gaskets or foam barriers between parts that can rub or squeak. 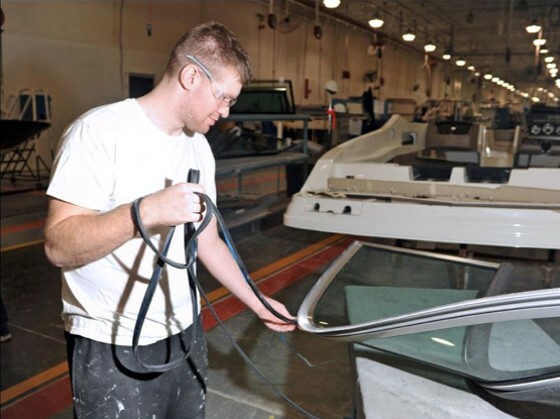 The windshield was also found to be a noise-maker, which could be improved by plugging whistling air leaks. Even the cup holders turned out to be adding to overall volume, and are now shushed by acoustic insulation. Adding a gasket to the windshield was one noise-reducing tactic. Some of the more advanced tactics deal with tweaking the actual structure of the boat. Building full-beam bulkheads, for example, helps seal off the engine compartments to minimize the migration of engine noise throughout the boat. Transoms have been redesigned to eliminate noise, and perhaps most surprising of all, a paper-like fabric has been added to the hull’s laminate. This fabric converts vibrations into heat, which then dissipates through the fiberglass. 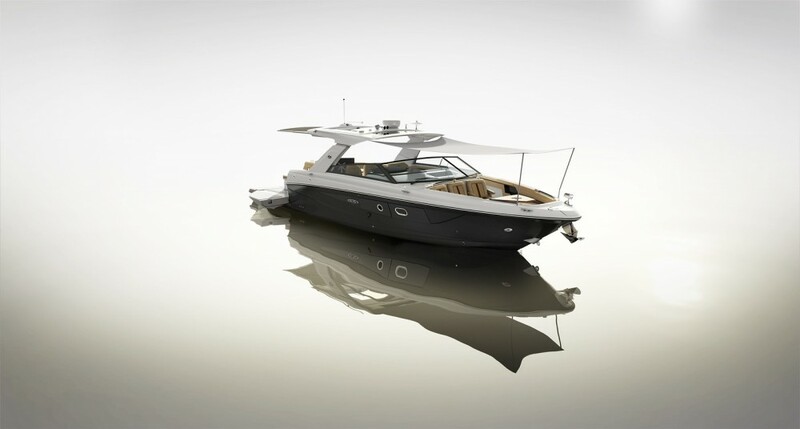 It doesn’t reduce the strength of the hull one iota, and while Sea Ray wouldn’t divulge the exact nature of the fabric, the result of including it is indisputable—I tried dropping a golf ball onto pieces of fiberglass with and without the fabric in them, and the difference was clearly audible. The piece without it made a loud, ringing “clack” while the piece with the fabric produced a dull, low “thud." In fact, the ball even bounced noticeably less when striking it. 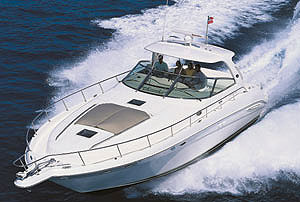 A paper-like fabric added to the laminate converts vibration into heat, and is added in several strategic areas of the boat. Engineering also plays a role in Quiet Ride. Sea Ray looked at each and every part of the boat, and tried to find ways to engineer the noise and vibration right out of them. Structural liners were made cavity-free; cuts in critical areas prone to vibration were made by robotics to ensure precision; and vibration-dampening barriers were added to everything from mounting brackets to fittings to fuel tanks. The result of all these efforts? On their prototype 250 SLX, the first boat introduced with Quiet Ride, noise levels at cruising speeds were reduced by 9 to 12 decibels. That might not sound like a lot at first, but bear in mind that the decibel scale is logarithmic—a 10-decibel increase sounds about twice as loud to the human ear. What about the added cost? Won’t equipping all of those Sea Rays to carry Quiet Ride push their prices off the charts? Hardly. When considered as a percentage of overall cost, adding these benefits raise cost by a mere one to two percent. 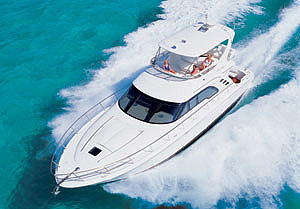 The cost added by Quiet Ride is minor-league, but the difference it makes in boats like this 350 Coupe is huge. 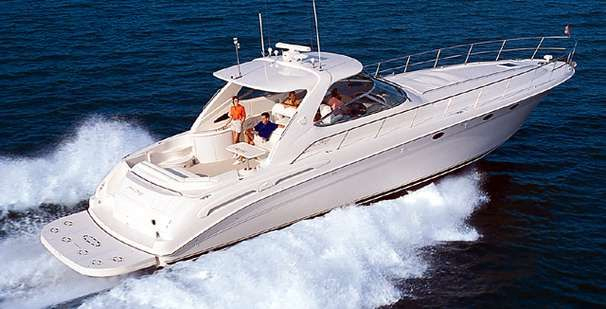 For more information about Quiet Ride, visit Sea Ray Boats. Editor's Note: This article was originally published August 2012 and updated in June 2017.